Thank you to all for all the support that I have received over the last few days since we received our sad news. I am unable to add much more at this stage except to say that we have some incredibly good deals going at the moment. These are up on my website at this point in time, so if you would like anything please feel free to contact me. I don’t know how long these deals will keep so you will need to get in quick. I would like to think that there will be some positive resolution to our current difficulties and that we will still be able to access the wonderful Creative Memories Products in the future. I have also been very heartened with all the support from the other consultants and the way we are all helping each other to get products to all our customers. Following on my post the other day here is a layout that I did last year on my daughter’s photo album. This page has 12 photos in it and I have trimmed off all the excess that I didn’t need and the end result is quite pleasing. Plus I was able to use a lot of photos, which saved on pages and resources, and I got through a lot of photos in one hit! 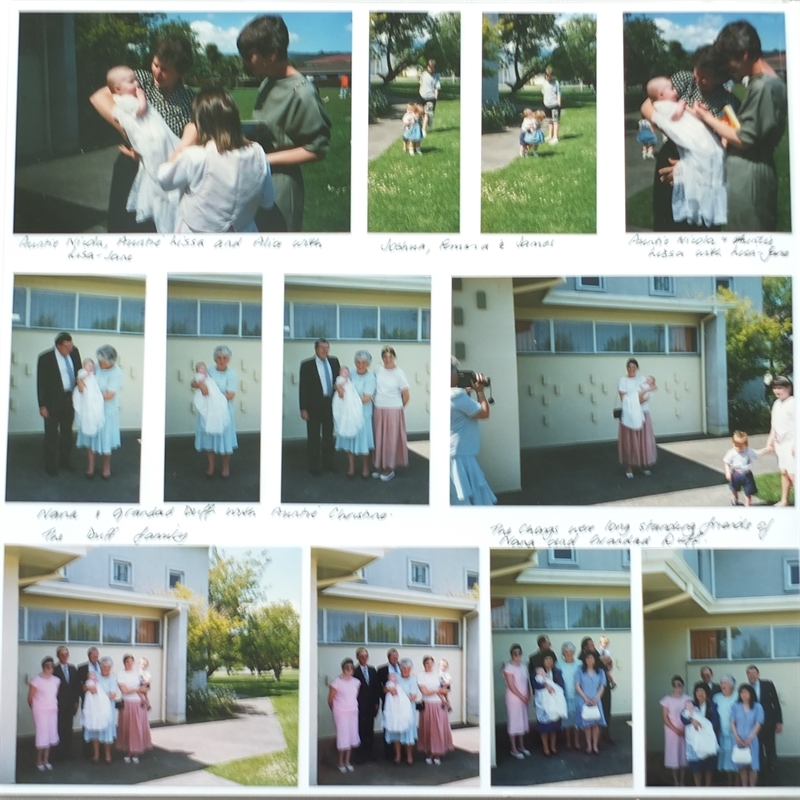 There is no embellishments on this page, except for me writing down the names of all the people that attended my daughter’s Christening so many years ago. This highlights the fact that we do not need to add all the embellishments to create an effective page. Memory keeping is about writing down our memories so our children and grandchildren can look back and understand what was going on. The embellishments are the decorative element and really should be secondary to what the photos are about. Less is more! And when times get tough we just have to get back to the basics to help our supplies stretch further. Thank you very much for taking the time to comment Stacy. I am pleased I am not the only one who likes to keep things simple. Have a good day.